As utility costs continue to climb, maintenance and engineering managers in many institutional and commercial facilities press on in their search for ways to save energy and reduce operating costs. Two common strategies — identifying energy waste in HVAC systems and optimizing HVAC system performance — have proven successful in reducing a facility’s total energy use. But preventing energy waste and optimizing HVAC systems are very different processes, even though both produce energy savings. For our purposes, the focus is energy waste — determining ways to find it, resolving the underlying problem, and preventing it from recurring. 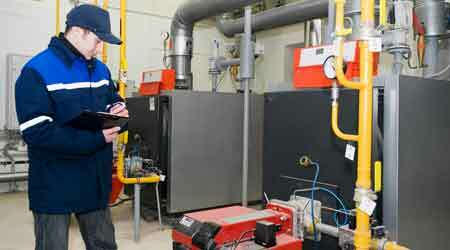 What is the difference between preventing HVAC energy waste and optimizing HVAC systems? The simple explanation is that preventing energy waste requires fixing system deficiencies or operator errors, while energy optimization involves taking an existing system that is providing proper control to its original design and altering the system or enabling more progressive control strategies to save energy. Maintenance programs for mechanical, electrical, and plumbing systems in most facilities typically involve performing activities on equipment — greasing bearings, changing filters, etc. Many maintenance programs use the controls system to monitor equipment, but technicians do not properly service the controls themselves. While programming does not degrade over time, temperature, humidity, and pressure fluctuate, and air and water flow sensors can falter. This does not mean every sensor in a system requires maintenance, but every sensor in a system performing a control function should be. Temperature sensors installed in an air handling unit (AHU), an office space, or a hydronic system eventually go out of calibration. Over time, abuse and the build-up of debris can take a toll on these devices. Consider a room temperature sensor connected to a variable-air-volume (VAV) box that reads 2 degrees higher than the actual temperature in the space. This discrepancy will cause the controls to stay in cooling mode, increasing airflow to space and driving the AHU fan to run faster to maintain static pressure and force more air through the system that will need to be cooled or heated, depending on the season. The issue can be difficult to detect. The space is still comfortable, so there are no occupant complaints, and the system might be controlling just fine. The fan speed is not too high, valves on coils are within range, and the VAV seems to be trimming to maintain the space’s temperature set point. The building maintenance group and the controls vendor have no reasons to look for a problem. Having this problem in one space is not a big deal, but what if this is happening in multiple spaces throughout a building? For this reason, technicians should recheck temperature sensors for accuracy periodically. But what is that period? The controls installation and operation manual (IOM) or the systems manual should have this information. If those resources are not available, then every two years would be acceptable for verification. Verification does not take long, and the equipment necessary to perform these checks is not expensive. A NIST traceable electronic psychrometer can cost $400 - $1,000, depending on unit features. Annual re-certification of the device can cost $100-250, depending on the vendor performing the task. Technicians can use this handheld device on space and air-handling equipment alike.